Looking for an international guide camp? Then Olave 2019 is the place for you! Our all-girl camp has an action packed programme of activities. 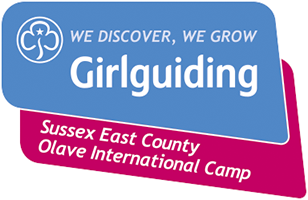 Held in the beautiful Sussex countryside, it is also the perfect camp to meet Girl Guides and Girl Scouts from all over the world. Previous guests include groups from Japan, Nigeria, India, USA, Canada, Chile, Cyprus and Estonia. 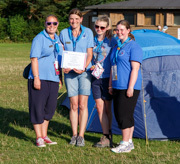 Olave 2019 will be extra special for Girlguiding Sussex East County as it is thirty years since our first camp. 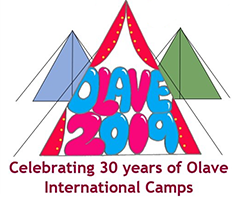 Olave was first hosted in 1989 in honour of our first County Commissioner, Olave Baden Powell on the occasion of what would have been her 100th birthday. The camp runs from 27th July to 3rd August 2019 at Blacklands Farm, one of our national activity centres. Blacklands Farm is located near to London Gatwick Airport and the nearest train station at East Grinstead has direct trains to London. We look forward to welcoming members of Girlguiding and other WAGGGS Member Organisations from around the world. Participants should be aged 10-17 inclusive. 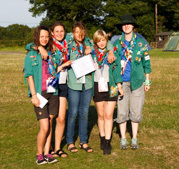 There is no limit on the number of girls in international groups although please note that groups greater than 10 may be hosted on multiple sub camps. We also welcome adult leaders from around the world (and the UK) to volunteer at the camp.